Tojiksodirotbank is the second-largest commercial bank in Tajikistan. The best recommendation the IMF has for fixing AIB is “recapitalizing with conditions” which could cost as much as 2.5 percent of GDP. For Central Asia’s poorest state, that’s not insignificant. Other options for resolving the bank’s issue entail legal changes or fully liquidating the bank. The bank is considered systemically important by the National Bank of Tajikistan. 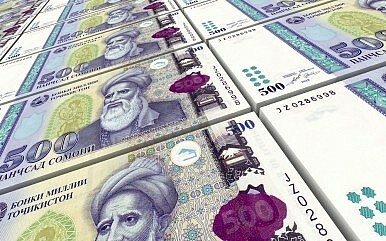 Later in February, the Financial Times reported that the IMF was in talks with Tajikistan for a $500 million bailout package. In several places in the IMF report, it’s noted that staffing shortages can “hinder full investigations into noncompliant, or unsafe and unsound practices, limit the follow-through in appeals cases and media inquiries into high profile enforcement cases.” While the IMF comments were directed at the NBT, the same would apply to commercial banks like TSB. Cutting staff might save on operating costs, but it also cuts down on the bank’s ability to operate sufficiently. In addition, there are the social consequences of layoffs or forced unpaid leave. Tajikistan, the world’s most remittance dependent country, has serious unemployment issues, driving Tajiks to go abroad for work by the hundreds of thousands. While official statistics, cited by the CIA World Factbook for example, list unemployment at 2.5 percent, most analysts would agree that’s an impossibly low number for the region’s poorest state. One way to maintain the facade of employment is to not fire people and merely push them into unpaid vacation.